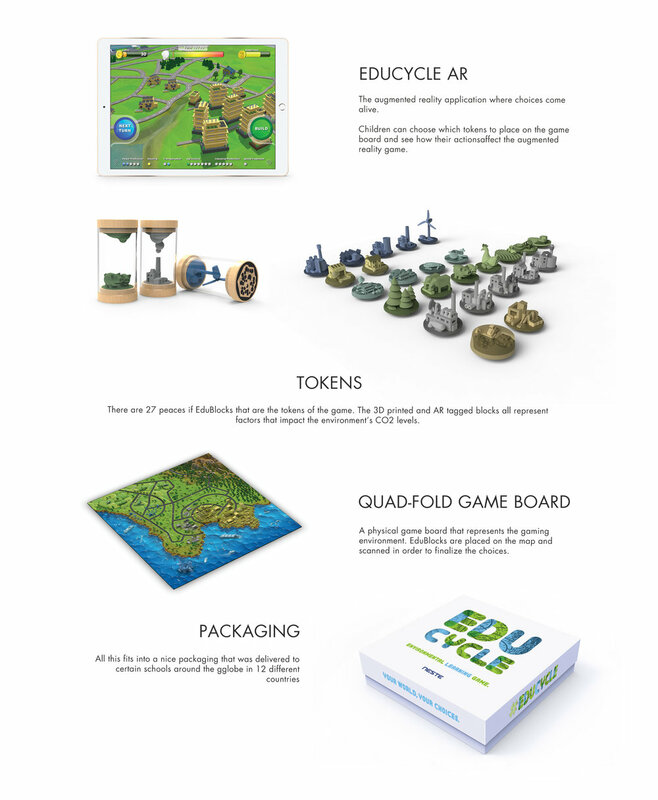 EduCycle is an educational augmented reality game for schools that teaches children how to reduce their personal carbon footprint by simulating their energy, food and traffic choices in the game’s physical map board. Players can then see their choices come alive on the mobile app. The main objective is to balance between human and environmental needs by making smart choices with limited resources. Pre-Order the Future was a forward-looking project that started in late 2015. The project’s aim was to study and explore how we can use new types of renewable raw materials in developing tomorrow’s sustainable products and services. The idea was to develop 5 different concepts that uses renewable plastics or fuel, create content and to get audience involved by voting the best concept. EduCycle was eventually selected and finally produced.